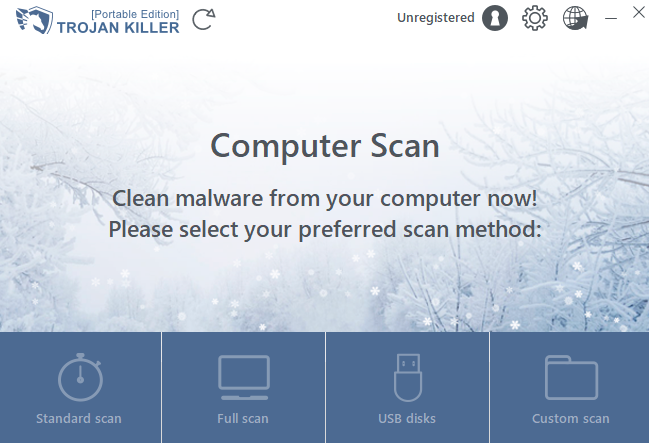 Welcome to Trojan Killer Portable – the smart PC recovery solution for those, who try to find an anti-virus cleaner for memory sticks and computers. This kind of software has been developed by our professional team in order to assist you in making your computer and memory sticks function better. Millions of PCs worldwide are suffering from aggressive virus attacks nowadays. Rogue security applications, spyware and adware are guilty of causing major PC slowdowns, browser redirect problems and many other unpleasant modifications. Fake security popups, warnings, ads, notifications – this is all that accompanies fake AV pests once they make their dwelling in the PC infected with the virus.You can solve and fix all the above-mentioned problems with the help of Trojan Killer Portable.The tool includes additional modules designed to restore your PC back to the condition it had just before the very virus infiltration. Hence, you are just about to enjoy the benefits of the powerful and portable anti-malware weapon able to destroy and deactivate viruses and to renew your system back. Enjoy the work of Trojan Killer Portable and set your memory sticks and PC free from the virus interference! Downloading the program is as easy as it can be. You can do it by visiting the site https://trojan-killer.com/. Immediately you will find the download button. You may perform the download directly from Trojan Killer Portable download link or via CNet download option. The downloads are verified by Kaspersky anti-virus labs. Once the download is actually initiated you have the options of running the application or saving it to a special folder on your computer of memory stick for further execution. GRANT OF LICENSE. GridinSoft LLC grants to You a non-exclusive right to use this software program (hereinafter the “Software”) in accordance with the terms contained in this Agreement. One Software license can be used for TWO home computers only. OWNERSHIP OF SOFTWARE. GridinSoft LLC retains the copyright, title, and ownership of the Software and the written materials. You agree that the Software and the authorship, systems, ideas, methods of operation, documentation and other information contained in the Software are proprietary intellectual property of the Rightholder. You agree not to modify or alter the Software in any way. You may not remove or alter any copyright notices or other proprietary notices on any copies of the Software. COPIES. You may make as many copies of the software as You wish, as long as You guarantee that the software can only be used on one computer in any one instance. You may not distribute copies of the Software or accompanying written materials to others. You may not activate ONE Software license on THREE or more computers. TRANSFERS. You may transfer the Software to another person provided that You notify GridinSoft LLC of the transfer and the person to whom You transfer the Software agrees to be bound by this Agreement. You may also transfer the Software from one of your computers to another. Upon a transfer, You must remove all copies of the Software from the computer from which it was transferred. Upon a transfer to a third party You must remove the software from your computer. In no event may You transfer, assign, rent, lease, sell, or otherwise dispose of the Software on a temporary basis. TERMINATION. This Agreement is effective until terminated. This Agreement will terminate automatically without notice from GridinSoft LLC if You fail to comply with any provision of this Agreement. Upon termination You shall destroy the written materials and all copies of the Software, including modified copies, if any. DISCLAIMER OF WARRANTY. GridinSoft LLC disclaims all other warranties, express or implied, including, but not limited to, any implied warranties of merchantability, fitness for a particular purpose and no infringement. OTHER WARRANTIES EXCLUDED. GridinSoft LLC shall not be liable for any direct, indirect, consequential, exemplary, punitive or incidental damages arising from any cause even if GridinSoft LLC has been advised of the possibility of such damages. Certain jurisdictions do not permit the limitation or exclusion of incidental damages, so this limitation may not apply to You. PROPERTY. This software, including its code, documentation, appearance, structure, and organization is an exclusive product of the GridinSoft LLC, which retains the property rights to the software, its copies, modifications, or merged parts. Please make sure to carefully read the license agreement also available in the respective section of this help file. Select the installation destination (the place on your computer or removable drive where you want Trojan Killer Portable to be installed to). You may leave the name of the installation folder of Trojan Killer Portable by default or select your preferred folder name. 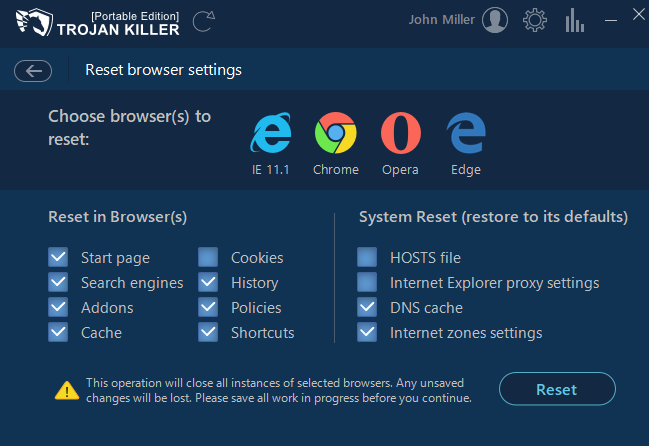 Check whether you want any additional tasks to be accomplished during the installation (allowing you to run Trojan Killer Portable based on your settings). Click “Install” if you have selected all previous options according to your preferences. The very installation process will begin. 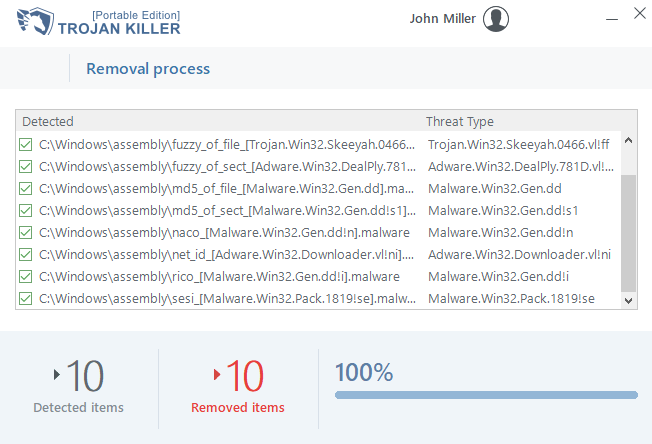 Finally, you now have Trojan Killer Portable already installed on your PC or removable drive. You may tick the box in order to launch Trojan Killer Portable immediately, or untick it (if you want to run Trojan Killer Portable later on). Click “Finish” button at the end. Some malware programs are known to prevent you from downloading, installing and executing Trojan Killer Portable. 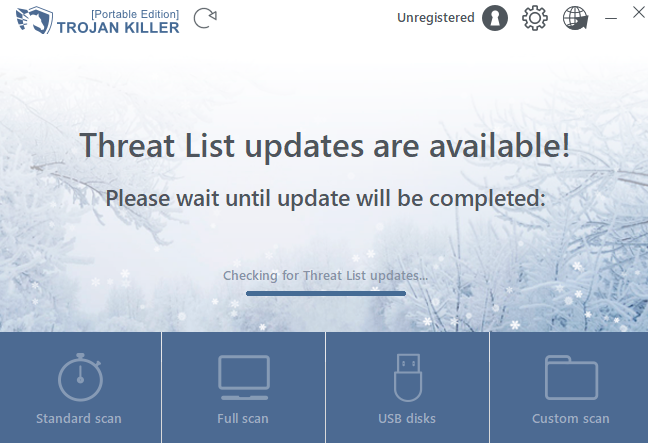 It might be that your connection to the Internet might be broken due to virus presence, so you can’t download Trojan Killer Portable on your infected computer or USB drive. 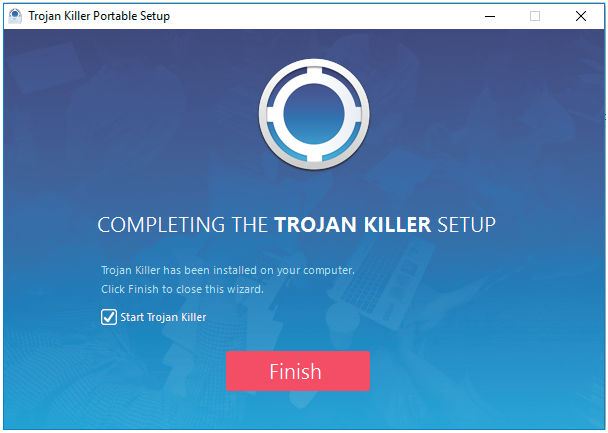 Download the latest version of Trojan Killer Portable on clear (not infected) computer or USB drive and install it. Copy the entire folder “Trojan Killer” to your jump drive (memory stick) if it was installed on a computer. Normally it is located at the following path: C:\Program Files\Trojan Killer. “C” stands for the system disk of your computer. The name of the system disk, however, can be marked with another letter. If Trojan Killer Portable has been installed directly on the USB disk the path of the program can be as following G:\Trojan Killer. “G” stands for the USB disk, that can be marked with another letter too. Open your jump drive (memory stick). Find the folder “Trojan Killer” there. Open it , find the file under the name “tk.exe” and rename it to “iexplore.exe”. Move memory stick to the infected PC, open “Trojan Killer” folder and run iexplore.exe. 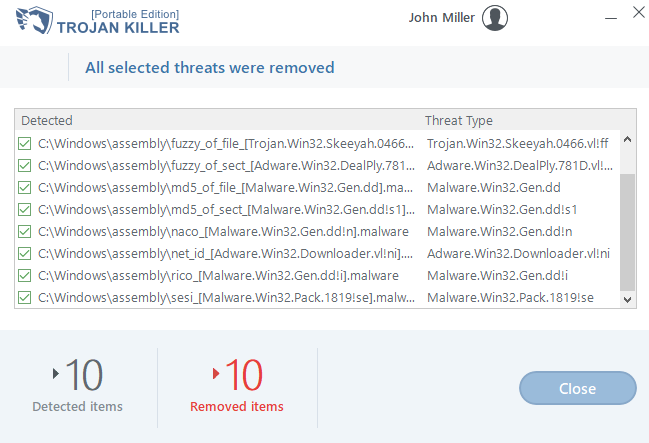 Optional: copy the folder “Trojan Killer” from your jump drive to some other folder created on your PC and run “iexplore.exe”. In order to activate the program please refer to “Unregistered” button (“License Info” hint). 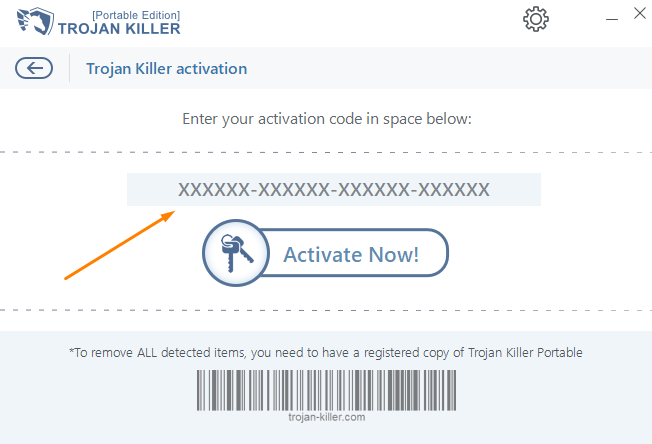 If you already have a license, please, activate Trojan Killer Portable with your personal key, pressing the link “here” and entering your activation code into respective field. 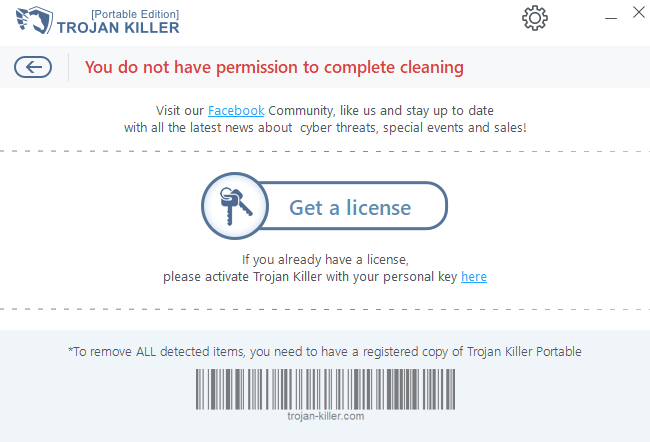 If you do not have a license, please, press the button “Get a license” and purchase Trojan Killer Portable. 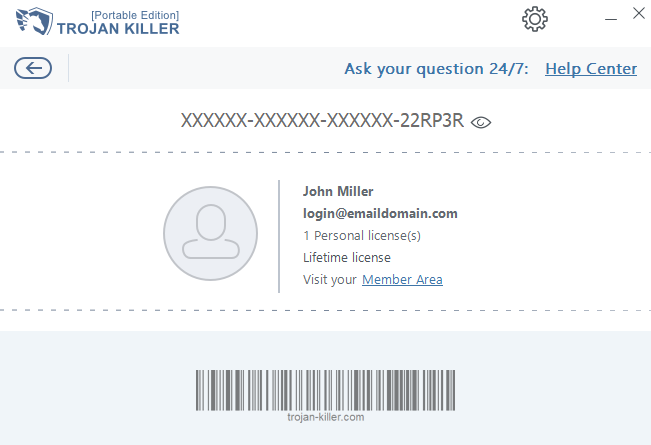 After activation of your account you will see your license / activation code, e-mail address you used while purchasing Trojan Killer Portable, information about your license. Also you can manage your account in Member Area (http://my.trojan-killer.com/auth/login). On the screen below you see already activated product. To indicate your license code / activation code you need to the “Unregistered” button on the main window and then hit the link “here” (or hit the link “here” on the window of choosing a license type). After this the window would come up where you need to indicate the license code / activation code. Please make sure to avoid spaces in the beginning and at the end of the activation code. Once all the necessary details are indicated please press “Activate Now!” button. Buying Trojan Killer Portable is carried out by means of PayPro Global Inc. or Avangate, the payment processing companies. 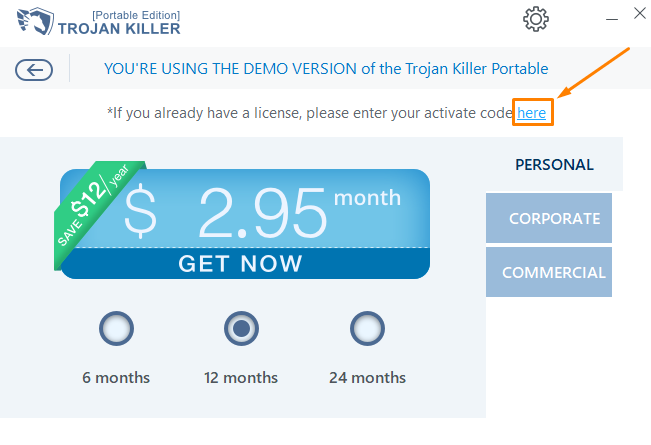 If you have the intention of buying Trojan Killer Portable the best way to do it is via the site https://trojan-killer.com/#pricing. The most typical form of payment is via credit/debit card. For this type of payment you need to indicate your type of credit/debit card (Visa/MasterCard, PayPal, American Express, Bank/Wire transfer, Discover, WebMoney), as well as other important credit/debit card details necessary for the payment to be effected. Other types of payment are also available (depending on the country where the purchase is to be made). They include Purchase Order, Webmoney, Phone Order, Fax Order, Check / Cash, Wire Transfer and PayPal. Once the payment is effected via PayPro Global Inc. or Avangate, the payment processing companies, you must receive the purchase confirmation from one of them about the payment effected, as well as your activation code / license / serial key for your version of Trojan Killer Portable. Please be aware of the fact that activation code / license / serial key are the same things. If you have problems finding or receiving the activation code please immediately contact payment processing company via the e-mail address support@avangate.com , as well as GridinSoft Customer Support Team by creating the ticket via https://support.gridinsoft.com/trojan-killer/#ticket-system The activation code will be sent to you as quickly as possible, however, you might need to check your SPAM folder, it might be that the message was mistakenly forwarded into this folder. If you by mistake effected the payment several times (without the actual intention to do so) please be advised that you will be refunded for the mistakenly effected payments. We indeed realize that sometimes difficulties removing the malware do take place. Before you actually ask for refund please make sure to tell us the exact story of removing virus from your computer and why you think Trojan Killer Portable failed to delete it effectively. It is a good idea that you send us the information about the state of your computer. 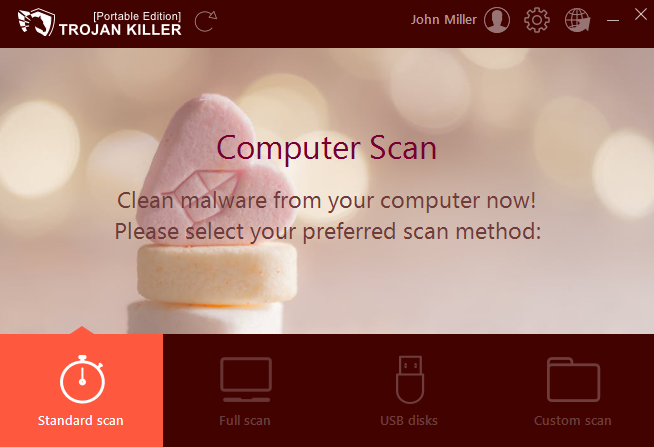 It is possible that you have certain problems with your computer preventing normal functioning of Trojan Killer Portable. Please send us the latest scan log file for analysis. You may retrieve the scan log file by clicking “Show Details” button on scan results and then “Save to file…” button. This file (Log File) should be sent to us as the attachment via customer ticket support system. We will then consider the issue or refund, but first please let us do all our best to help you fix the problem and help you use Trojan Killer Portable in case you have problems with this. You may choose either of these options to submit your refund requests, however, it is better to contact Trojan Killer Portable directly. For credit card purchases the refund will appear on the next credit card statement. In order to use our software properly you need to know several things about how the program works. 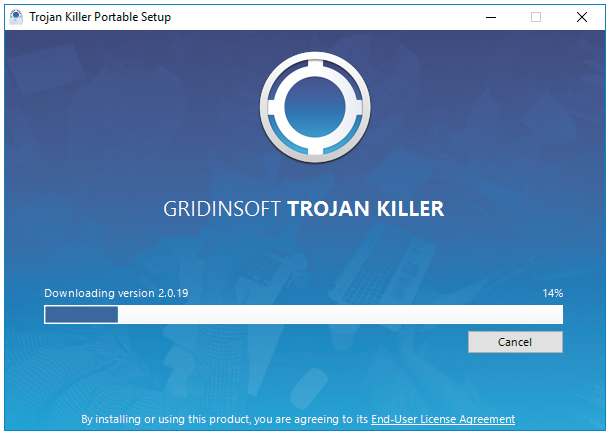 There is some information you need to know about Trojan Killer Portable – from the performance of the program updates to actual malware removal. A regular update of the system is the basic premise for obtaining the maximum level of security provided by Trojan Killer Portable. The Update module ensures that the program is always up to date. This is done in two ways – by updating the virus signature database and by updating the application itself. The information about the current update status are indicated by the Update arrow on the main window. Once the update process is successfully accomplished you can choose preferred scan method. 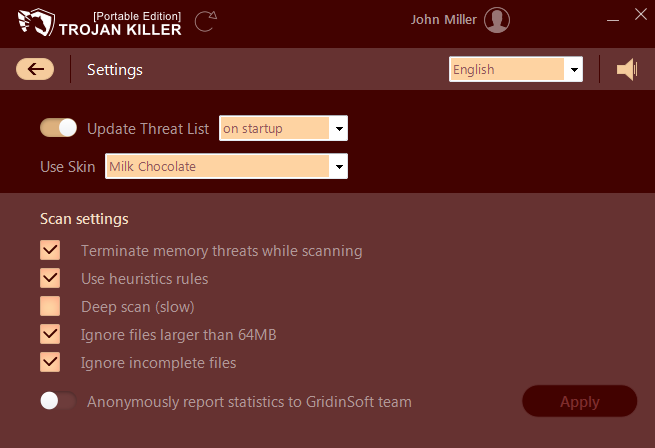 Also you can set the option “Update Threat List” to update bases on startup or before every scan. The update process will begin. Several types are available. The Standard scan quickly scans the system. It checks the most critical parts of your system. 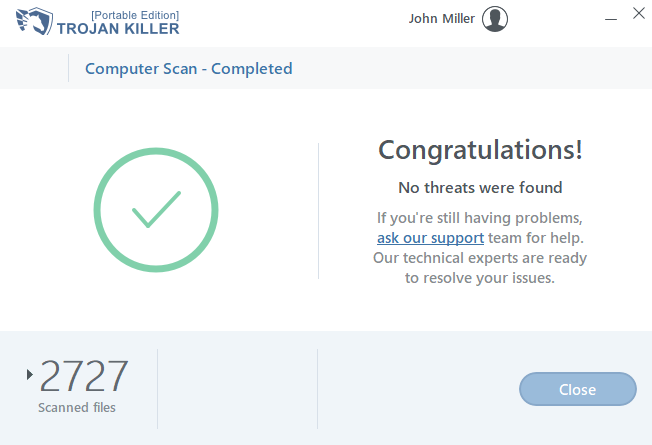 The Full Scan checks all of your computer and hard disks for availability of threats. By selecting USB disks button you may scan all your removable disks plugged into your computer (flash drives, memory sticks). 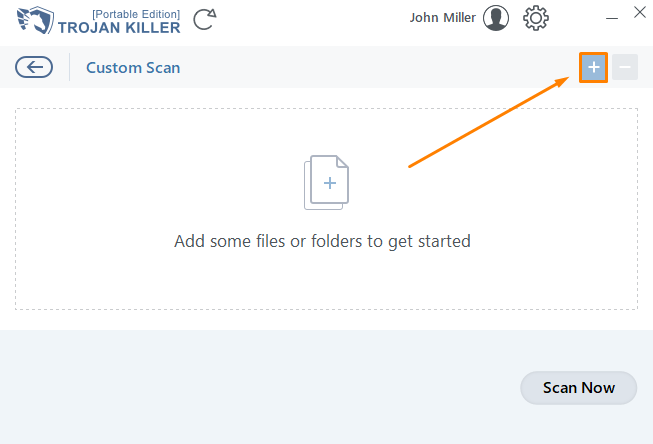 The Custom Scan allows to select any of the particular folders – please, use it to scan your external hard drives too. How to start scan? How to start Custom Scan? Scan for threats on your usb-devices How to apply action to detected threats? You can terminate the scan at any time by clicking on the Pause button or stop it selecting the Stop button. During the scan process the program would show you the amount of scanned files, detected items and time left to the end of scanning. 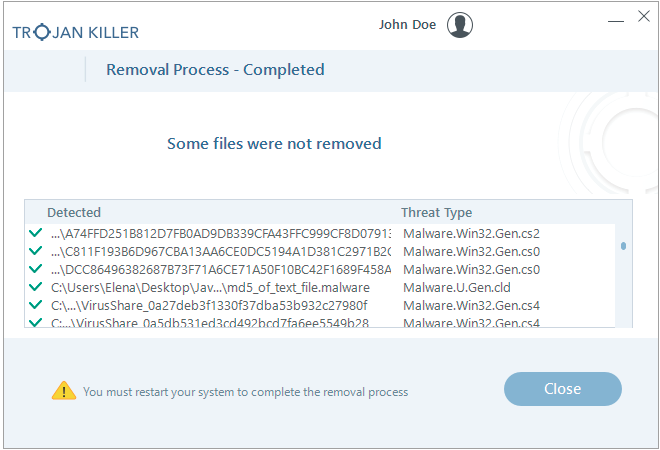 After the scan is completed or cancelled the program would present the report with the option to remove detected items if some threats were found. 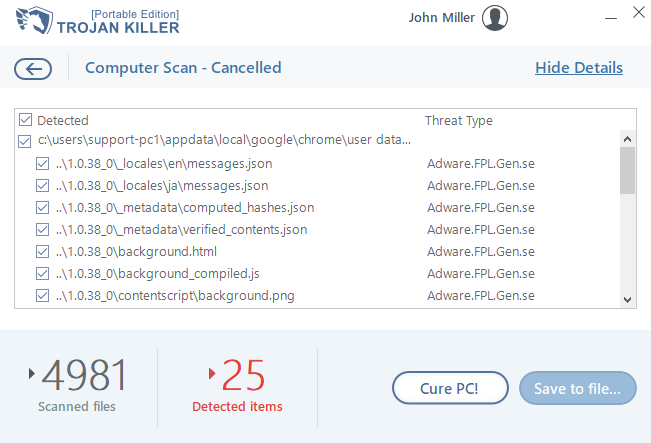 You can view details of detected threats, in particular, types of malware and infections, detected on your computer during the scan, by pressing “Show details” link or pressing on the amount of detected items. Also you can save scan results to the file on you computer or memory stick. You can complete the scan if it has been cancelled by clicking “Complete the scan” link or pressing arrow “back” on scan results. If you press “Close” button the confirmation message will appear. After answering “Yes” in this confirmation message, scan results will be lost and the main window will appear. Also you may repeat the scan at any time by pressing the appropriate scan type button on the main window. 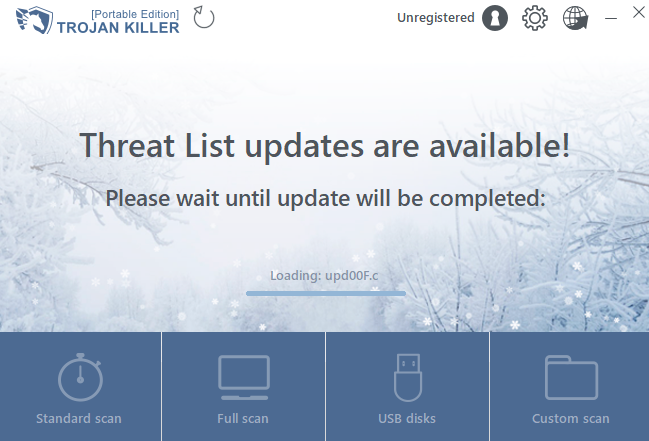 Again, after the scan is completed, Trojan Killer Portable will display the list of threats (in the case of detection) that have been checked for removal. Scan for threats on your usb-devices How to start Custom Scan? 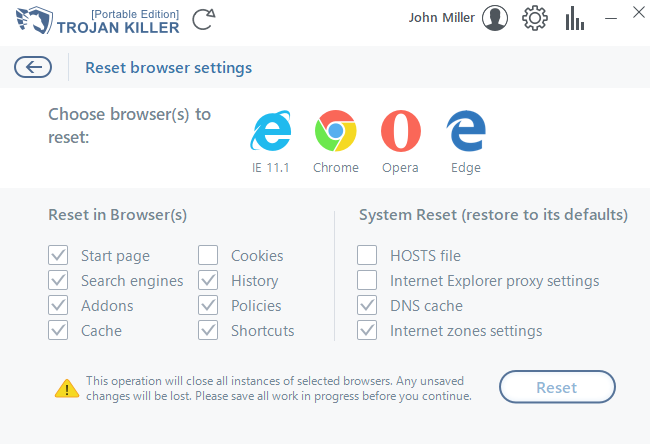 Types of applicable actions to detected threats How to use Reset Browser Settings? Once the scan has been completed successfully please make sure to click “Cure PC!” button. 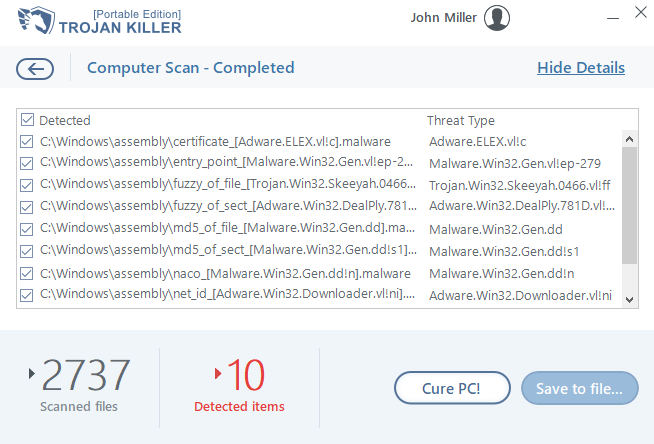 This would delete all detected threats during the scan with Trojan Killer Portable. If you do not want to remove some of the detected items you can unmark it in a list. Below is how the virus removal process looks like. Click “Close” once the items have been removed. Trojan Killer Portable will arrange the report about successful completion of the removal process. However, in some cases Trojan Killer Portable might ask you to reboot your computer and run the scan again. If this is the case, please, act accordingly. 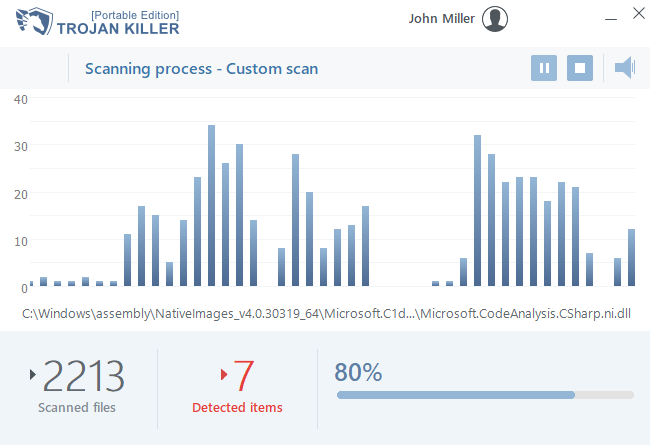 Scan log file is like the image of the scan process on your computer or memory stick with Trojan Killer Portable. In some cases we may ask you to send us one or several scan log files for our analysis. This is especially required when analyzing the refund requests, so please make sure to send us such information via ticket support system https://support.gridinsoft.com/trojan-killer/#ticket-system (by creating a new ticket). 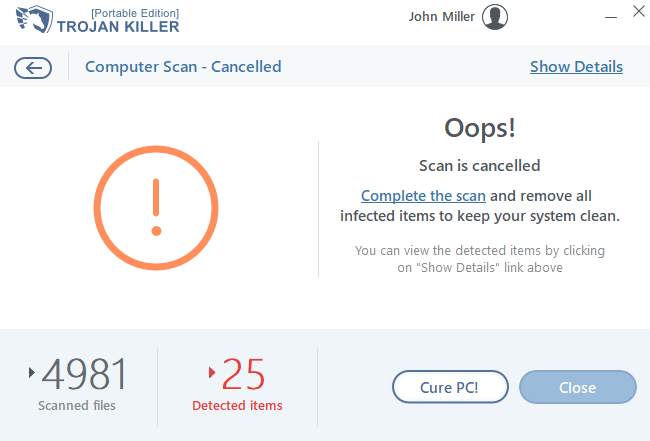 In order to generate the scan log file, please, comlete the scan with Trojan Killer Portable, click “Show Details” link or number of detected items on the scan results window and then click “Save to file..” button. Please save it to some folder on your computer and send it to us for our analysis in the order described above. In order to choose the program settings of your preference, please, click “Settings” icon on the main window. 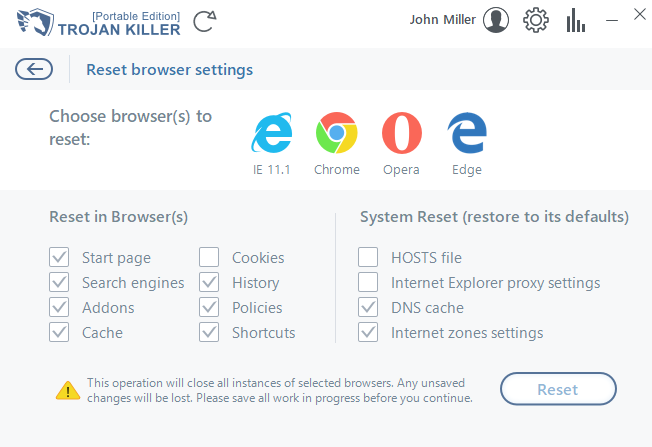 The special window will appear where you will be able to choose your own settings to make the use of Trojan Killer Portable personalized by you. The settings include an indication of the general options and specification of the scan parameters (this option is mostly for experienced PC users). 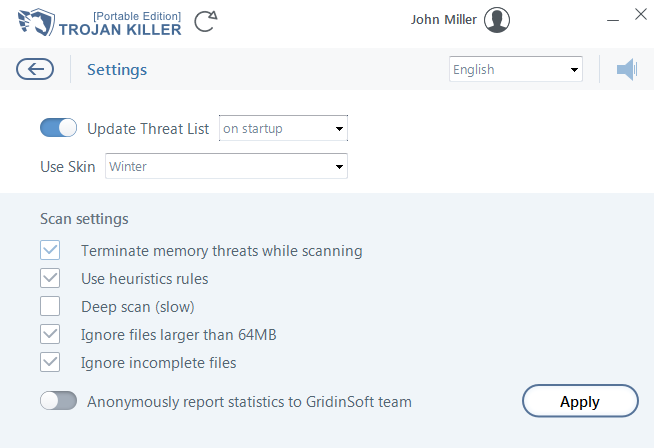 anonymously report statistics to the GridinSoft team. Some options are set by default during the installation, however, you need to be experienced user in order to modify / amend them as described above. If you have any questions please contact us immediately via available customer support channels described in this User’s Guide. Now it’s very easy to personalize the look of the Trojan Killer Portable adjusting it to your current mood. Just choose the skin you feel the most. If you wish your Trojan Killer to look ultra stylish – change the default Winter skin to a Dark one! To do this, you just need to go to Settings > Use Dark Skin and click Apply. If you feel melancholy today – sweet warm Milk Chocolate is for you! To choose it you just need to go to Settings > Use Milk Chocolate Skin and click Apply. So, here you are, staring at your home or business computer infected with certain unwanted application, malware or, to say shortly, by a virus. Have you ever been in such situations? Surely you have, to this or other extent. There are certain virus removal principals which you must adhere to for successful restoration of your computer back to the status it had before the very virus attack occurred. This article is devoted to these general recommendations for our users when they face certain type of virus. Please read it carefully and try to follow these admonitions in times of problems with your computer. Do not panic! Often this is exactly what the malware developers want from you. If users tend to panic they also tend to make quick judgments. This is especially true when being infected with fake anti-virus program. Some people (again, in panic) make the decisions in haste regarding purchasing the rogue security programs which are useless and helpless. Investigate! You need to perform certain research as to the type of the malware program/problem which attacked your PC and for the ways it can be dealt with/eliminated. The World Wide Web is full of security forums, sites, online discussion platforms, blogs and other sources of useful information. If you did not find the solution or answer you might consider posting the question on Yahoo!Answers or Microsoft Answers site. Read the removal instructions carefully! Many sites over the Internet offer the excellent removal guidelines and tips on how to get rid of viruses. They recommend certain removal solutions, including the anti-virus applications. However, the good security blog or site would offer the detailed guidelines on all the necessary steps for malware elimination, and it might not be enough just to run the recommended anti-virus software. So, once again, read the instructions carefully and follow them completely. Be selective! Many sites nowadays recommend certain security applications, either free or subject to be paid for. We are not in the position to rate them or to speak either negatively or positively about them. Let the people rate the anti-virus programs (even though indeed many of the contemporary security applications know nothing about effective removal of malware). So, research this issue and do not pick up just the first security program you’ve encountered. Be patient! It takes some time to research your problem thoroughly in order to give the proper and really helpful answer (recommendation). So, it might take a little bit longer than you expect to resolve the issue of your concern. Be polite! While communicating with the customer support team you are dealing with people and not with robots. We are people like you and sometimes we have the same problems you have. We strive for satisfying our customers the best we can and do not ignore your requests. We cherish our customers and try to please them, even though sometimes the issue cannot be resolved as quickly as we want. Trust us! We undertake to fulfill the responsibilities before our clients and in the case of problems we will give the priority to the benefit of our users and not ourselves. There are some malware programs which amend your browser settings causing redirect problems and other related issues. Additionally, the main browser Home, Start Page and Search Engine preferences may be amended – again, in order to redirect users to other unwanted web addresses. In order to reset these settings back to the normal mode please click on “Reset Browser Settings” icon on the main window or launch Reset Browser Settings window by icon on your desktop. Each computer has a special HOSTs file aimed to store the web addresses. In certain cases this file can be used to speed up the access to the web pages you tend to visit more often. However, sometimes this file is being abused by malware. If this is the case, you might need to try the option of resetting the HOSTs file, by clicking on “Reset Browser Settings” icon on the main window or launch Reset Browser Settings window by icon on your desktop and selecting “HOSTS file“. Then you need to click the “Reset” button. Some Malware programs add entries to this file, to either deny access to websites (usually security-related or antivirus company websites), or to re-direct access to websites of their preference. If there are more, then remove them and save changes. 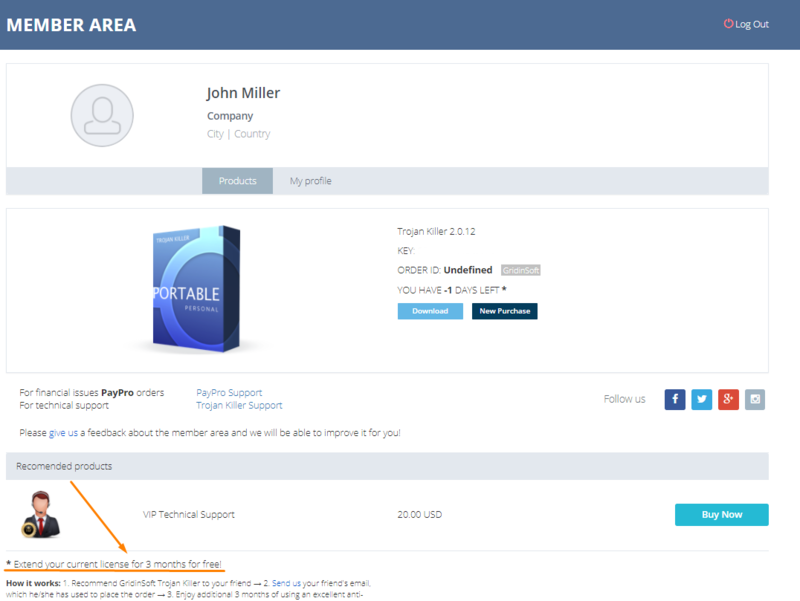 Contacting Trojan Killer Portable support team is what you should do immediately if you experience any problems removing malware from your computer or removable drive. There are various cases when you might need to get in touch with us. 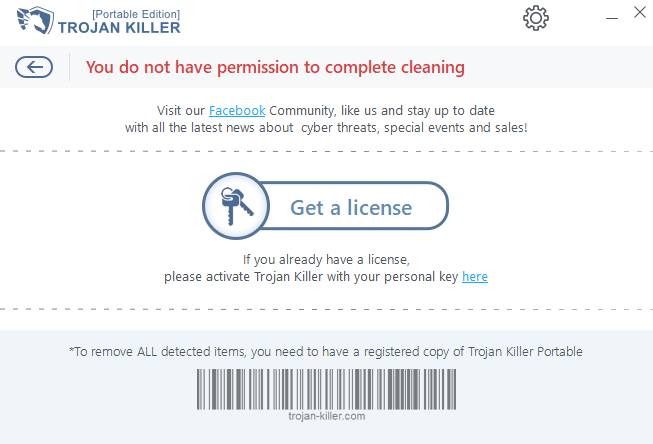 If you think Trojan Killer Portable does not effectively remove the virus from your system do not hurry up to delete it from your memory stick or PC. Do not install any other similar software programs without first having contacted us asking for help. Ticket Support System https://support.gridinsoft.com/trojan-killer/#ticket-system is the best way to get the fastest answer to your question. One of the best ways to contact Trojan Killer Customer Support Team is via the ticket system available at the following link https://support.gridinsoft.com/trojan-killer/#ticket-system You need to indicate the necessary information, such as your full name, email address, telephone number, help topic, type of software (Trojan Killer Portable), subject and description of your problem. Set the respective priority and attach necessary files which might facilitate the process for consideration of your request. Once all the mandatory fields have been completed please click “Create Ticket” button. Our specialists will get in touch with you as soon as possible. How to start Custom Scan? 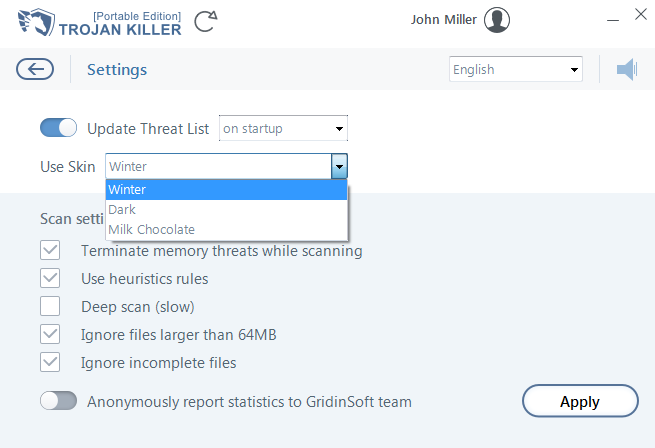 How to apply action to detected threats? How to use Reset Browser Settings? How to reset a Windows HOSTS file? Why my key stopped working if my license is still valid? What to do if I have a false positive detection? What language does the program have? 1. Find the folder with Trojan Killer Portable (for example, C:\Program Files\Trojan Killer\) and delete this folder. 2. 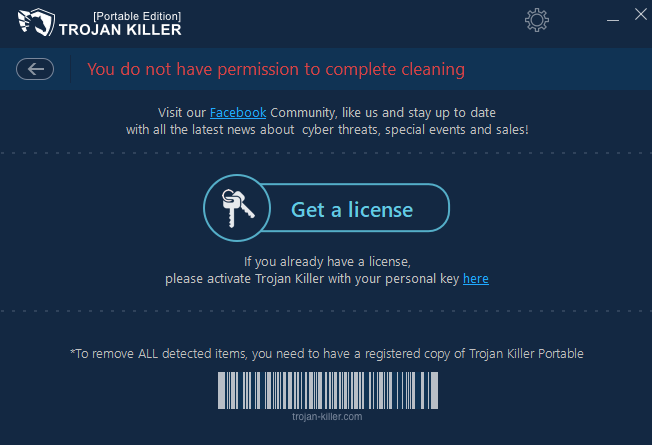 Redownload the latest version of Trojan Killer Portable from the official site. Please, click on the “Unregistered” link on the top of the main window. In appeared window click on the “here” link. Or, if you clicked on “Get a license” button on the main window, then click “here” button in appeared window. Then you can enter your personal activation code. Then, please click “Activate Now!” button. Enjoy! You need to buy a license. After buying a license you will have an email with your personal activation code. Also, you can find a code in your Personal Account of Member Area. You can use one license on no more than 2 PCs or memory sticks. 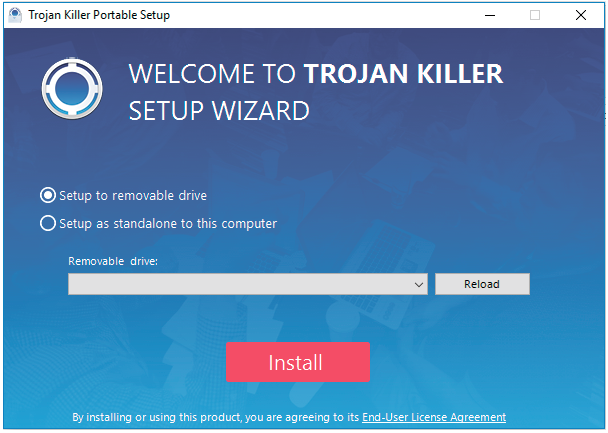 For this you need to install Trojan Killer Portable on another PC or memory stick and enter your activation key. • Change your personal information. 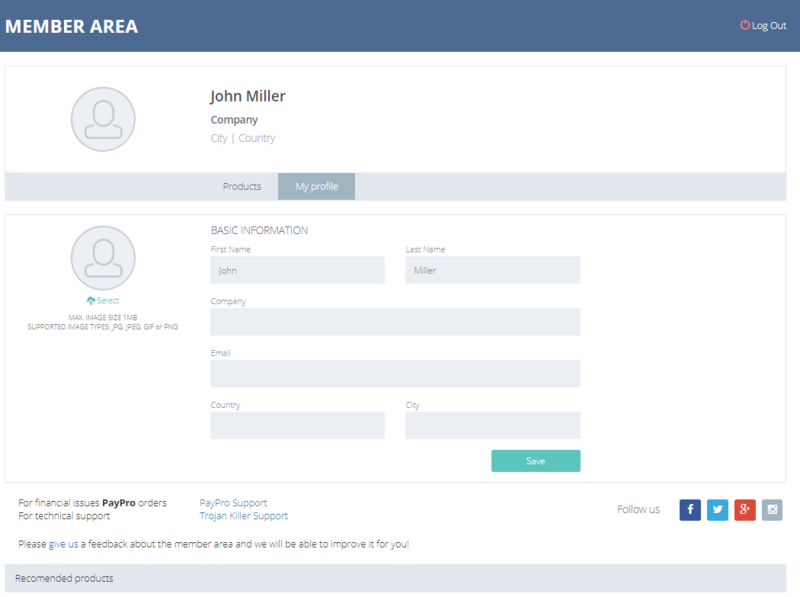 In your Member Area you have an opportunity to track all licenses, to activate or deactivate subscriptions, to download the program and to buy related products. We are glad to help you anytime. You can find all current promotions in your Personal Account. They are constantly updating, so we recommend to check it regularly. 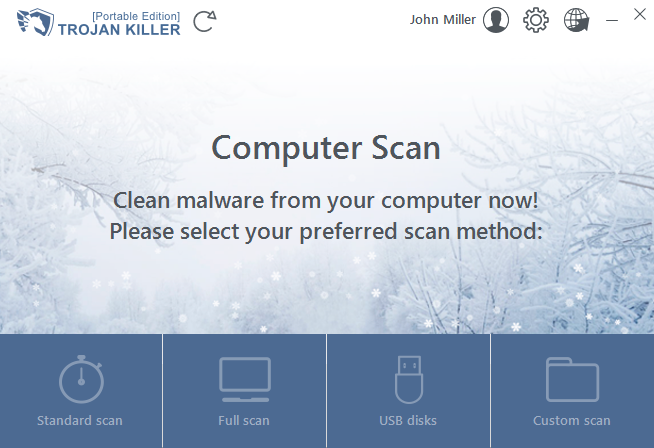 Choose the appropriate type of a scan on the main window of Trojan Killer Portable. To scan the USB-device you need to choose a Removable scan tab on the main window of the Trojan Killer Portable. Important, put a USB-device before the scan starts. To scan a specific folder of your PC or memory stick you need to click on Custom scan tab on the main window. After that browse the folder to do a scan with Trojan Killer Portable. After scanning the system you can ignore or delete detected files. What to choose? Ignore — you ignore this file once. The next scan will detect the file again. Delete — you completely remove this file from your system or memory stick. 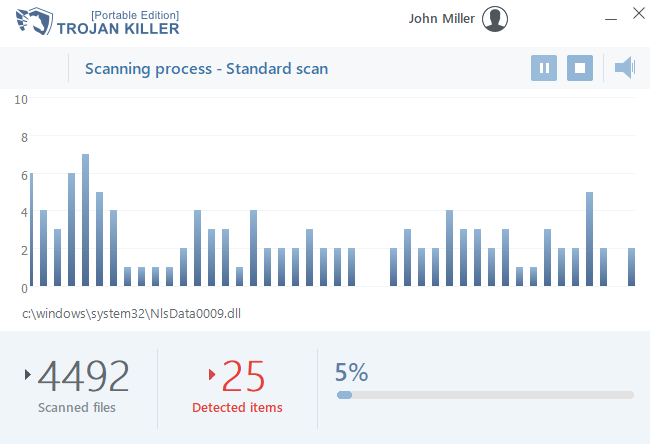 If you want to ignore detected item, unmark it in a list of all detected threats on scan results. To delete threats mark it in a list if they were unmarked. After this click on “Cure PC!” button and the chosen actions will be applied to detected threats. 1. Update your signature database with Update arrow on the main window of Trojan Killer Portable. 2. Start Full scan on the main window, wait the completion of the scan. 3. 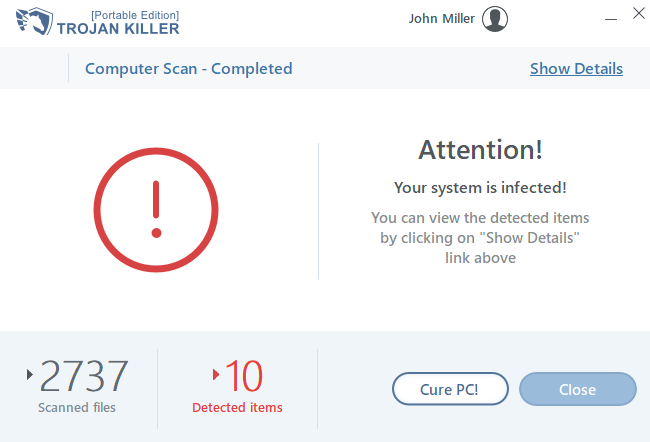 Click “Cure PC!” button to remove all found items, reboot your computer if Trojan Killer Portable tells about it. 4. Run Trojan Killer Portable if it’s not running. 5. 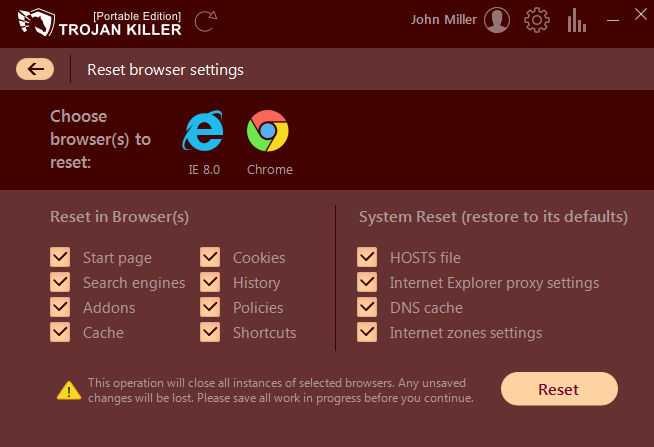 Click “Reset Browser Settings” icon on the main window of Trojan Killer Portable (or launch by Reset Browser Settings icon on the desktop). 6. Confirm your choice by clicking “Reset” button on the Reset Browser Settings window. 7. Click “Close” button after succesfull resetting of browser settings. 9. Open your browser and verify your problem. To remove file, that stores your websites’ addresses, do a reset of a Windows HOSTS file. 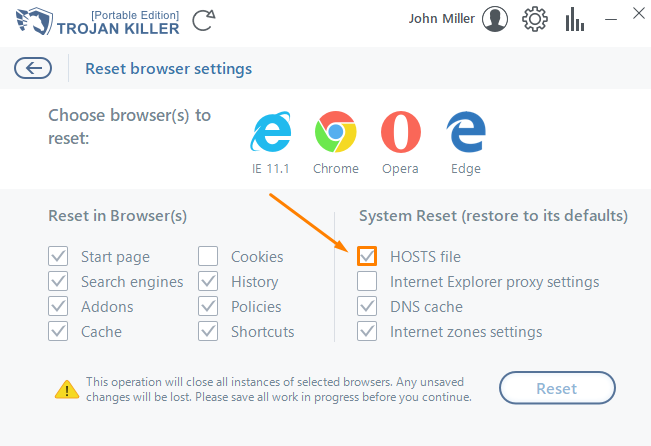 For this you need to open the Reset Browser Settings window in Trojan Killer Portable, then mark “HOSTS file” and click “Reset” button. We are not conflicting with other antivirus programs, but if you have any problems with scan and updating try to temporary disable other antivirus software. You can’t remove detected threats if Software is not registered or System needs reboot. You need to buy a license. After buying a license you will have your personal activation code on your email. Also, you can find a code in your Personal Account of Member Area. Some threats leave traces in the system and you need to restart your PC for complete cleaning. Due to our agreement you can activate the license on no more than 2 PCs or memory sticks, but you can cure as many PCs as you want. 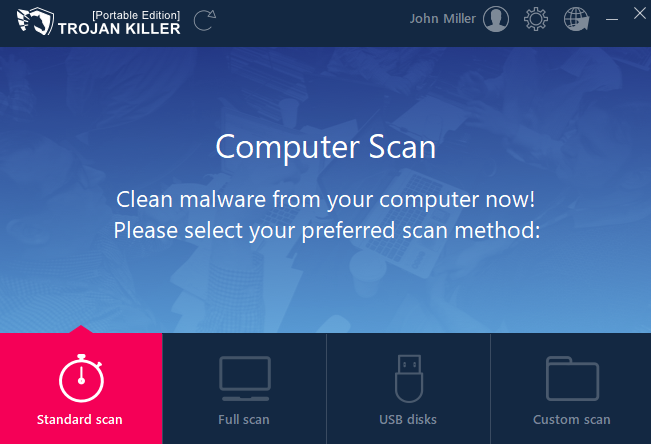 Please, choose “Full scan” on the main window of Trojan Killer Portable. Wait until it will be completed. On the window with scan results click on “Show Details” link or on amount of detected items. Then in appeared window with details of found threats click on “Save to file..” button. 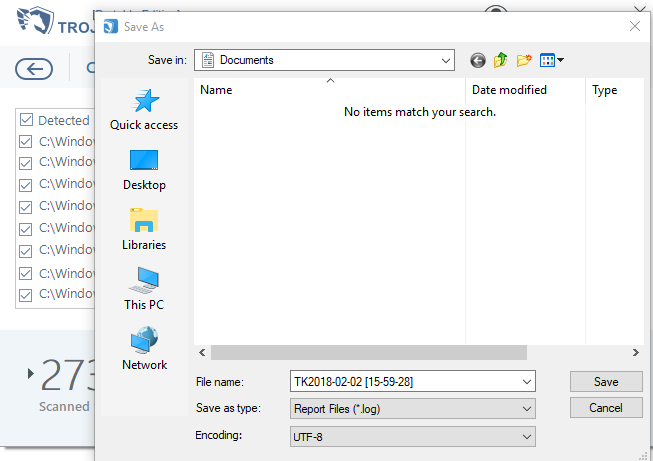 Save your results into a file on your PC or memory stick. Then please attach this file to your response message (click on ‘choose them’ at the bottom of the ticket created at https://support.trojan-killer.com/). If you can’t attach the file for some reasons, just copy its content to your response message. We will review that detected file and let you know the experts decision. We will analyze this information and tell you how to solve your problem. Trojan Killer Portable has English, French, German, Polish, Russian, Ukrainian. If it doesn’t have your language we will be happy if you help us to translate the program for a free key. This is an obvious and very easy way to get rid of annoying messages, advertisment and toolbars in your browser.